Printed in black on blue paper. Produced by M. Lahuppe of St Denis (the island's capital). 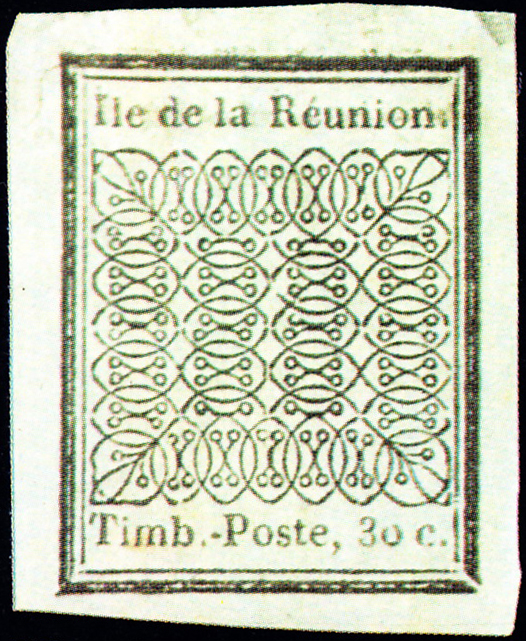 Generally, before the 1880s, French colonies used a series of general stamps, but this only began in 1859. 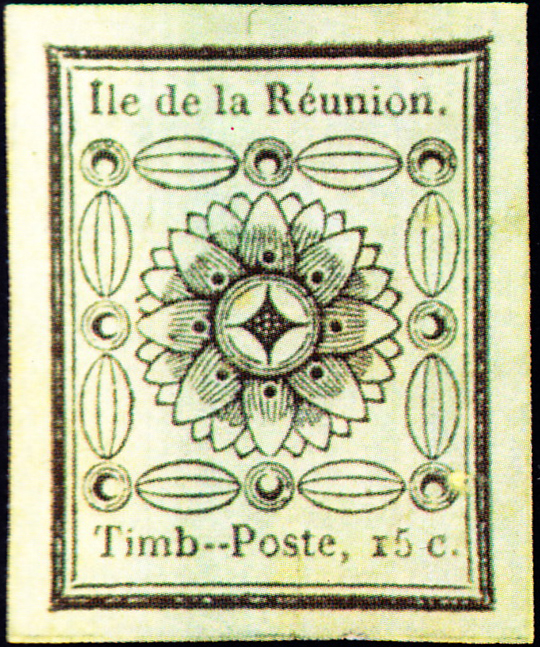 Mackay  writes, "There was, however, one notable exception to this, the Indian Ocean island of Réunion, which issued its own stamps between 1852 and 1860 ... why [it] should do so is something of a mystery." Mackay goes on to describe how collectors were unaware of the stamps until some time after they had been replaced by the general issues, first doubted their authenticity, but then regarded them as great rarities, leading to a series of forgeries. Both stamps of the first issue sell for six-figure sums.